hd00:15MOGOSOAIA, ROMANIA - APRIL 8: Mogosoaia Palace on April 8, 2017 in Mogosoaia, Romania. It was built between 1698-1702 by Constantin Brancoveanu in the Romanian Renaissance style. 4k00:19Ferrara, Italy - 21 june 2016: pan shot of one tower of the Estense castle. 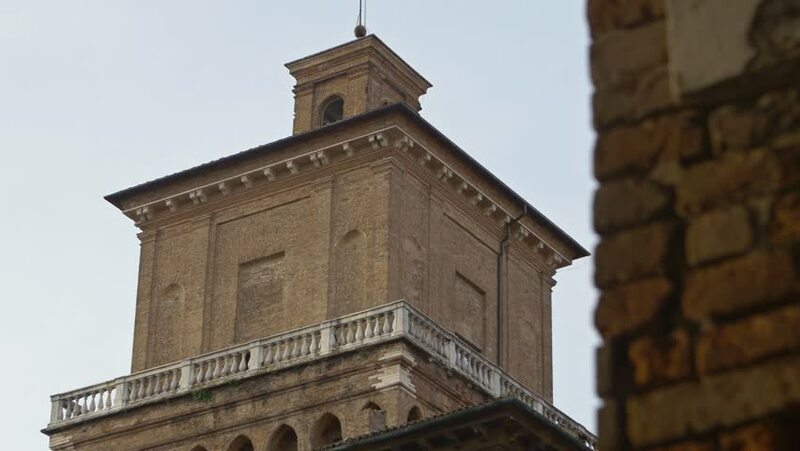 hd00:08The Basilica of Sant Andrea is a Roman Catholic co-cathedral and minor basilica in Mantua, Lombardy (Italy). It is one of the major works of 15th-century Renaissance architecture in Northern Italy.